Deluxe had been great, but it felt like it was going to be closing down fairly soon. There were a few fairly obvious signs, like the fact we had to nail the toilet doors back onto their hinges before opening the club, and the lack of booze in the fridges. By this point we had rammed out our first four nights so finding our next venue was much easier. We decided to move to Dubble Bubble. I hated the name, but it was a good space with two almost equally sized rooms, and it sounded good when said in a Nottingham accent. In 1999 a lot of DJs had a reputation for not showing up. Usually this was deserved. Randall had been set to headline our last Deluxe event and didn’t turn up. The most notorious ‘no show-er’ was definitely DJ Hype. 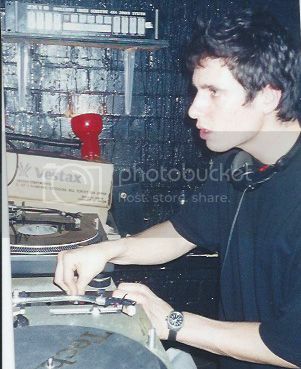 He was the biggest D&B DJ around at that time. He was producing still as part of Ganja Cru (Hype, Zinc, Pascal) and had big solo releases like '98’s ‘Closer to God’. Generally, whenever anyone mentioned him though it was followed by ‘he won’t play outside London’. We were big fans of Hype, to the point that I had been nicknamed ‘Mini-Hype’ by my colleagues at my new job at the record shop Selectadisc. His reputation for not turning up was so bad that an event was put on at Essence in Nottingham (last opened as Halo) which advertised him as the headliner even though he was never booked – it sold out and they made loads of money. We really wanted him to headline our first event at the new venue so we decided to put him on, and advertise that people would get their money back if he didn’t show up. As soon as we’d printed the flyers with ‘100% guaranteed or your money back’ we realised that what was written didn’t really make sense, but it got people talking. Years later Hype told me the reason he used to not show up was cos he had a car crash on the way to a gig when it was hammering it down. For several years, if the weather looked bad he wouldn’t want to drive so didn’t go to the gigs. We did fortnightly Thursdays at Dubble Bubble until May 2001. The vibes down there were unreal. The MCs stood on a stage in front of the booth which was made from four beer crates and a piece of wood, the smoke machine used to get stuck ‘on' to the point that you couldn’t see the ember on the end of a cigarette, and it used to rain with sweat. During our time at Dubble Bubble we had the pleasure of putting on: Hype, Mickey Finn, Zinc, Ray Keith, Jumping Jack Frost, The Usual Suspects, Adam F, J Majik, Ed Rush, Kenny Ken, DJ Die, Andy C, Bryan Gee. Rodney P, Estelle, The Mixologists (now one of Jack Beats), Plus One (the other one of Jack Beats), Mr Thing, First Rate, The Herbaliser, Skitz and loads more that i've forgotten. 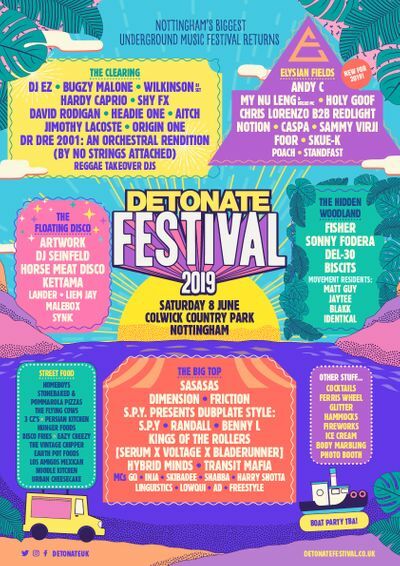 Shouts to Ian and Malcom (rip), Spyda, MC NME, Small Kid, Hannah who worked the door, and all the Detonate Dubble Bubble crew.